Peel and deseed the papaw. Cut into bite-size wedges. Slice the baguette into 1.5cm rounds and brush lightly with olive oil. Toast under griller or on a hot pan until just golden on both sides. 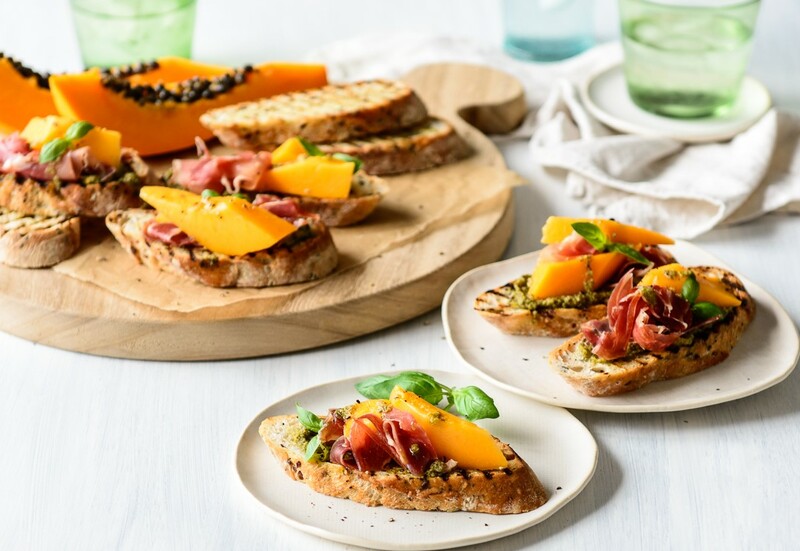 Spread each crostini with a bit of pesto. Top with papaw, prosciutto ribbons and basil leaves to serve.